Episode 14: Worship, Vices, and Virtues with Guest Brandon O’Brien! Can worship be addicting? The gang discusses why we need both corporate worship and individual communion. How do different cultures define vices and virtues? Brandon O’Brien joins the show to talk about our contextual biases in reading scripture – the subject of his upcoming book Misreading Scripture with Western Eyes. 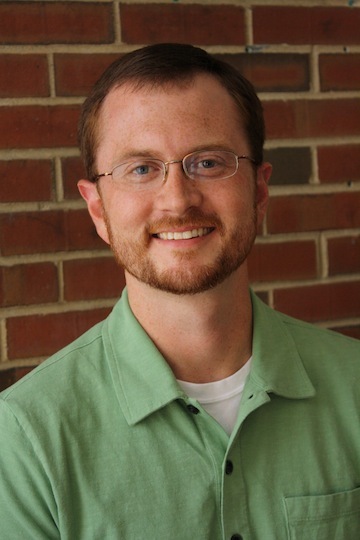 Brandon J. O’Brien is a writer, freelance editor, doctoral candidate in historical theology at Trinity Evangelical Divinity School, and instructor of religion at College of DuPage. He is author most recently of Misreading Scripture with Western Eyes: Removing Cultural Blinders to Better Understand the Bible (InterVarsity Press, November 2012). He is the lucky husband of Amy and the proud father of James David. PreviousEpisode 14: Worship, Vices, and Virtues with Guest Brandon O’Brien! NextEpisode 15: A Reggae Interlude and Conversations About Heaven! Thanks for another great podcast. I appreciated the discussion of Skye’s blog post “When Worship is Wrong.” It reminded me of the insights of St. John of the Cross in The Dark Night of the Soul and St. Teresa of Avila in The Way of Perfection. Both point out that we should never become attached to our experiences in prayer, but to Christ himself, and to the fulfillment of his will in our lives. In both our personal prayer and in our community prayer, we should not be seeking out the consolations of the Holy Spirit, but the strength that we need to do the will of God. God will then supply whatever we need to live in holiness. If the pursuit of the will of God is not our focus, we can indeed become distracted by a constant pursuit of warm and fuzzy experiences of God’s presence. The Spirit is promised to guide one into all truth. We must heed what he reveals in the Word. He does use mentors and other tools for clarification as well. Generally the Bible deals with human nature universally so there is not many laws needed to show what is right or wrong. Virtue or vice. Man creates their own traditions. or have different conscience levels that offend them or not. Marriage can be a vice or virtue. If with another man’s wife when he is faithful to her or in covenant with her, then it is wrong. Polygamy can be a vice or virtue. For David it was a blessing because he married those in covenant with God. With Solomon it was a vice because he married pagan women. The nuclear family will always be one man/one woman but it can expand from there. Let God give the limits. Let the Spirit show who to marry or not. Exodus 21:10. Maybe plural families don’t worry about worshiping God in a crowd because they are a crowd..